Our slab is being poured. Since this will be our finished flooring, it's important that it comes out smooth, and our concrete crew did a great job. Alex and I will be applying an acid-stain finish on 4th of July weekend, before framing begins. 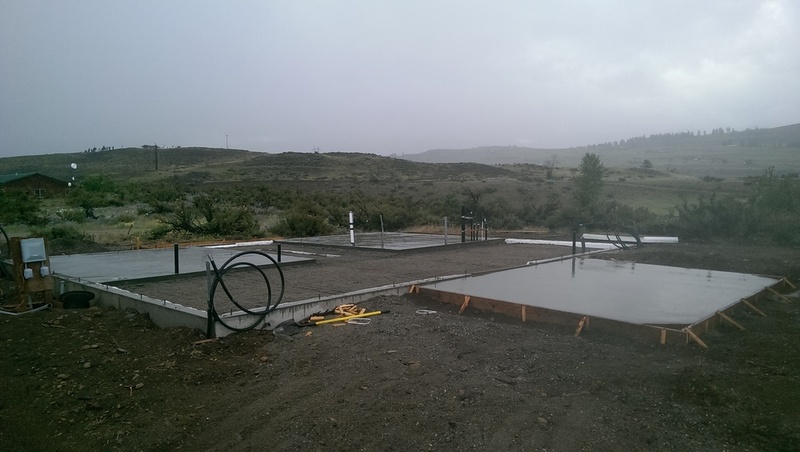 It's been a long journey, but after many rounds of design revisions, many conversations with general contractors, and much excitement, we've finally broken ground on our net-zero-energy cabin in Winthrop, WA. Dave, our partner in this project, learned the 3-D design software Revit and has been putting all the finishing touches on the design. His eye for detail and knowledge of energy modeling have been invaluable in ensuring that the house lives up to our zero-energy goals. Throughout its various iterations, the house has shrunk and expanded several times, but we think we've hit the sweet spot with a 1.5-story design, consisting of two main bedrooms on the first floor and two sleeping lofts. The east bedroom (and loft above) will have their own entrance and can be locked off from the rest of the house, providing flexibility and privacy. The design should be simple to build, and its rectangular, compact shape provides good energy efficiency. Unfortunately, our budget constraints meant that we could not afford the bids we received from the general contractors we spoke to. We were faced with the tough choice of significantly downsizing our house or acting as our own general contractors. With consulting help from our Methow Valley View neighbor, who had built his own house, we have been coordinating the building process. So far, it has been a lot of work, and has caused a bit of anxiety, but the house is coming along well, and we feel confident that we will be extremely happy with the finished home. 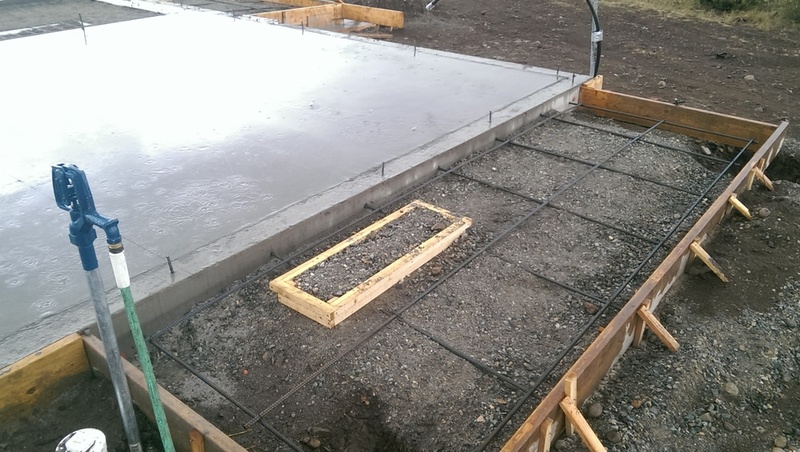 As you can see in the photos below, our slab-on-grade foundation has been poured. The next step is the installation of the structural insulated panels (SIPs) that will compose our walls and roof. Framing will begin the first week of July. We are already dreaming of warming up in our zero-net-energy home after cross-country skiing this winter, but for now, we have been mostly camping next to our foundation. It's hot and dusty at this stage, but the view is spectacular, and there is a lot of satisfaction in taking a role in planning and building this project.